When mobile apps first became popular (most noticeably with the introduction of the iPhone and Apple App Store), a gold rush was on. It seemed like every other week we were reading success stories of app developers who hit it big (and in some cases, made millions) with a simple app or game. Today, the market is flooded with apps, and there’s tons of competition. With a bit of money, anyone who isn’t a computer programmer can have their own app developed. It’s a lot harder to succeed today as an app developer. That’s why I’m excited about today’s interview. 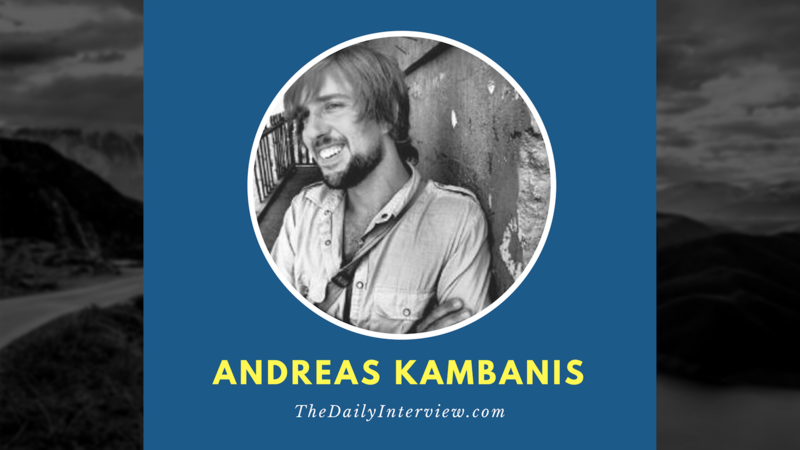 Andreas Kambanis is an app developer who has no programming experience. Even in today’s competitive market, he’s creating successful apps and making good money with them. In this interview, Andreas tells us about how he started his app business, the challenges he’s faced along the way, and the tips he has for anyone looking to create their own app. As you might have guessed, simply creating a great app isn’t good enough alone to be successful. 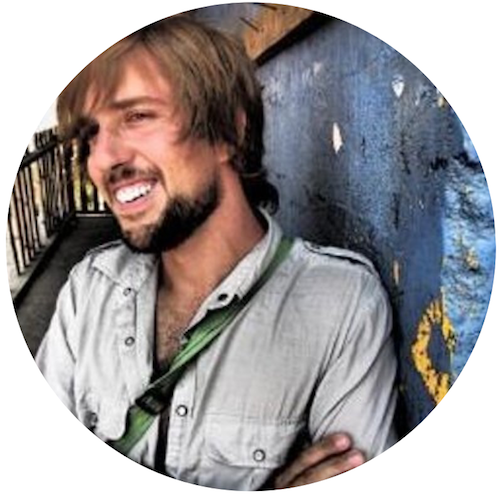 Andreas, you created a popular cyclist blog years ago that still does well today, and more recently you started a highly successful mobile app business. Tell us about your journey. How did you become a mobile app developer? Do you have programming skills, or did you outsource a lot of the work? I have exactly zero mobile programming skills. I realized early that it would be an uphill climb for me to learn to program and that if the idea was good enough, it would be worth paying a developer to get it done right. My breakthrough in the mobile app world came fairly early. I was running my cycling blog and had the idea for a simple guide to bike maintenance. I felt the options already out there were too complicated and that it would be great if someone could simplify it for complete beginners. Around about the same time, the iPhone 3GS came out, and I bought one. I decided it would be perfect if cyclists had a bike maintenance manual on their phones, accessible at all times. I reached out to a developer who had created a great cycling app and suggested we partner up 50/50. I produce the content and do the marketing, and he creates the app. Two months of hard work later, the Bike Doctor app was born. Later, I decided to travel for 14 months from Vancouver to Antarctica. At the start of the trip I told myself, “I’m going to take it easy this year, just run my cycling blog and enjoy the travels.” It didn’t last long. On the second month, I decided to partner with the No. 1 podcaster in the health and food space, and create a best-selling iPhone app called Caveman Feast. The app hit No. 1 in the Food and Drink category within 24 hours of launching. Within 48 hours, it was in the top 10 apps in the entire store. It was a huge success. Nowadays, I’m always on the lookout for new partnerships with recipe bloggers. What do you consider to be your greatest success so far with your app development business? The past four apps I’ve created have hit the top spot in Food and Drink. One of them, 30 Day Green Smoothie Challenge, was selected by Apple to be featured before it had even been approved in the App Store. It takes around 8,000 downloads in a day to hit the top 10 paid apps in the store. This gives you an idea of what kind of downloads we aim for at launch. Obviously, things calm down a lot after launch week. I’m sure there were times when your entrepreneurial journey was challenging and maybe even a bit nerve-racking. What was the biggest challenge you’ve faced, and how did you overcome it? When we first launched Caveman Feast, our audience was screaming at us to get this app on Android. We’d had huge success on the Apple App Store, so Android was a logical next step and we wanted to respond to our users. I was in Medellin, Colombia, at the time, and I bumped into the owner of a development company out there at a Meetup event for entrepreneurs. We connected, and I visited their offices and got a quote of around $10,000 to develop the app for Android. We decided it was worth it, parted with our money, and after a lot of back-and-forth and a big learning curve from me due to the differences on Android, we launched. Tumbleweeds rolled by. In the first month, we did around $2,000 worth of downloads. This was a fraction of what we achieved on the App Store. Our assumption was that Android users are prepared to pay for a high-quality app, the same as iPhone users. This simply wasn’t the case. It took us getting featured by Google before we started to head toward the break-even point. I believe we broke even after about 8 months. We learned our lesson: If you want to succeed on Android, you can’t assume that the same business model of an upfront paid app will work. You need to explore other options, such as advertising. For now, I’m steering clear of Android because I’m in no rush to lose money again. I’ve heard that the mobile app development space has become saturated, and someone can create an amazing app that never sees the light of day if it’s not marketed correctly. What has been your strategy for getting your apps to market and generating sales? A lot of people focus on only one part of the equation: “Create a great app!” Sadly, the gold rush days on the App Store are over. You need to couple that now with great marketing. My mobile app marketing strategy has been simple. I don’t like mass emailing journalists and bloggers, so instead I partner up with people who already have an audience that loves what they’re doing and the content they’re putting out there. We then promote the app to that audience, and inevitably it does well. Of course there are some other excellent promotional routes. A particular one I’d love to explore more is creating an amazing demo video. I can really see how they can go viral. My strategy in the App Store largely boils down to one sentence: Create a huge splash on Day 1. This means I aim to get as many downloads as possible in the first 24 hours, so that I can hit the top spots within a category. Then you’re likely to get noticed by Apple’s App Store editorial team, who may then choose to feature the app. What advice would you offer to someone who has never created an app before and has no programming skills, but has a good idea for an app and wants to pursue it? For Bike Doctor, my first app, I partnered with a developer, with an even split of profits. This was a great way of getting started when I had no money, and it was low risk. However, it came back to bite me. I ended up paying the developer far more from the profits of the app than it would of cost me to simply hire someone. Also, the developer became uninterested in the project, and therefore development came to a halt. I learned from my mistake and now I always pay for development. What’s your favorite inspirational quote? People will come up to me and say, “You’ve got it easy! You just build apps, travel, work whenever you want.” They don’t realize how I spent the first four years after university living out of the overdraft in my bank account. Each month I would be overdrawn, struggling to pay the rent. It took time and effort to get to where I am today, and I wouldn’t have it any other way. Now you’ve got the same decision to make. What are your favorite online resources for app development and promotion? Dribbble: The best place to find a designer. Browse through other people’s work and get in touch with them. That’s where I’ve always found my designers. Release Notes: An excellent regular podcast that gives you the perspective of two developers. Parse: The service we use to send push notifications and to run the back end of some of our apps. Reasonably priced. App Figures: For keeping track of your app sales. App Annie: For analyzing competitors.